Wargame en solitaire sur les campagnes d'Alexandre le Grand. En achetant ce produit vous pouvez gagner jusqu'à 27 points de fidélité. Votre panier totalisera 27 points de fidélité pouvant être transformé(s) en un bon de réduction de 2,70 €. second opus de la série de jeu d'histoire en solitaire "Field Commander", ce jeu vous permet de revivre l'épopée d'Alexandre le Grand. jeu en anglais édité par DVG. regles disponibles en français sur le site de l'éditeur. You take on the role of Alexander the Great in his world-conquering quest to extend the Macedonian empire and achieve personal glory. When we started designing the game, our goal was to represent the battles of Alexander the Great, but the more we learned about him, the more we realized our opportunity to explore not only his battlefield exploits, but also the other aspects of his life. True, Alexander the Great was highly skilled in warfare, but he was also a skilled negotiator and at his core was the constant drive to connect with the gods. It was rumored that his father was Zeus, and he spent much of his life seeking the favor and advice of the Greek gods. 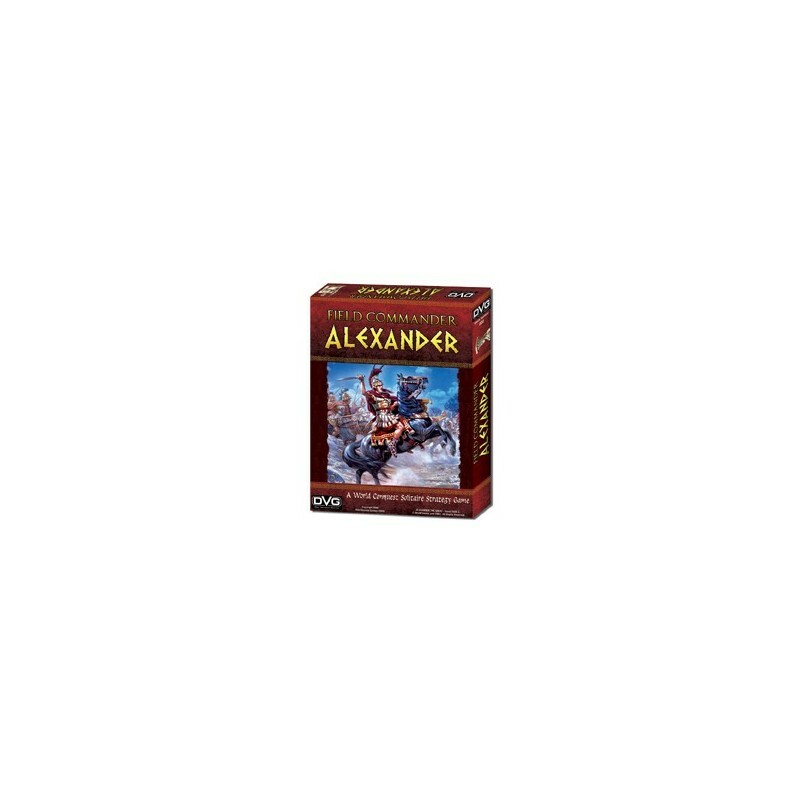 When playing the game, you are placed in Alexander's footsteps when he comes of age in 338bc, just before the battle of Chaeronea. From that point on, you get to decide where to travel, when to battle, when to negotiate, and when to seek out divine prophesies to guide your actions. You are supplied with soldiers and advisors to help you navigate the dangers of the battlefield and the negotiating table. These include Infantry, Archers, Phalanxes, Cavalry, Advisors, Scholars, Courtisans, and Spies. You will craftily combine these resources with your own plans to achieve victory, and glorification. And if you do well, you will be remembered as one of the greatest leaders ever to walk the earth. 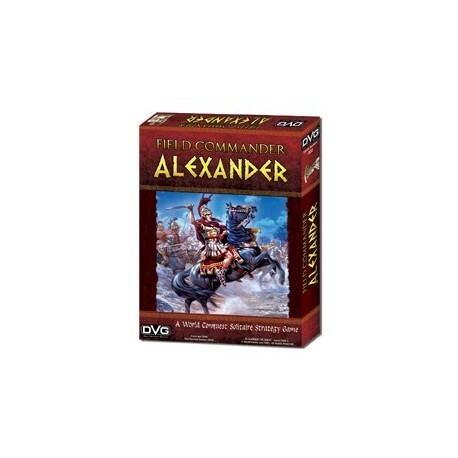 The life of Alexander is divided into several campaigns, each spanning several years. During each campaign, you are given goals, but how you achieve those goals is up to you. Do you enter into battle? Or negotiate? How strong are you? How strong are they? What can you gain? These are all decisions you get to make, and must make well, if you are to live up to the immortal standards set before you. The campaigns can either be played stand alone, or linked to play through his entire life. When played as one on-going life, the outcome of one campaign affects your starting situation in the next campaign. How you proceed is up to you - The Entire World is Yours for the Taking! Wan Chiu and Clara Cheang have created the outstanding artwork seen throughout the game.